We are the University at Buffalo Women’s Basketball program. This past season our team received a NCAA Tournament at large bid and reached the SWEET 16!! Something that has never been done before in UB women’s basketball history. In order for us to continue to build on this past season, it will require a unified approach from our village: the student-athletes, the coaching staff, the administration, our fans, and the community in which we reside. The fans and community of Buffalo can expect our team to play hard, play together, and fight for one another each minute of every game. We strive each day to be the best both on the court and in the classroom. A high level Division I program requires resources, and in order to give our student-athletes the best experience possible, WE NEED TO RAISE THE BAR. We will blaze the trail together immediately. 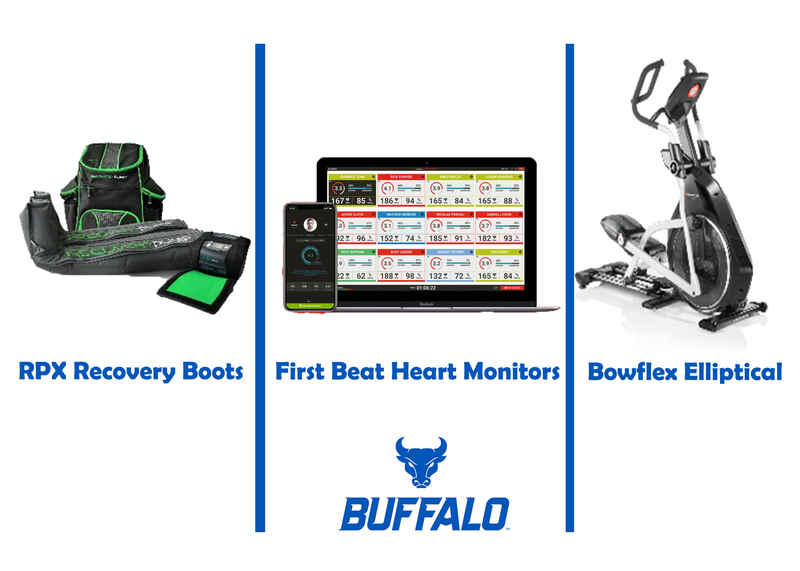 Firstbeat Sports System: It is the complete solution to optimize training load and recovery. Firstbeat Sports delivers the scientific insights needed to offer personalized training guidance. It gives us the physiological information to optimize performance, reduce injuries, and fast-track player development. These insights are derived from heart rate and heart rate variability data. This will unlock the power of individualized training and recovery guidance. RPX Recovery Boots Complete System: RecoveryPump is the ultimate sports recovery equipment for muscular pain and body aches. The research behind the portable compression system has shown it to be a fast, simple and effective way to relieve workout fatigue and bolster recovery time. With the physically taxing season that we play, we would use these on the road in order to help our players recover as quickly as possible. These will be extremely beneficial to the overall physical performance of each student athlete. Bowflex BXE216 Elliptical: Sporting a 35 lb flywheel system, this elliptical will be convenient for us to roll out to practice each day. The Switch Select Cushioning System will give us the ability to keep our conditioning up throughout season without the constant pounding on the hardwood. This machine allows us to create specific workouts to tailor to the output that we want the athlete to achieve while using it. In order for us to accomplish this, we need help from OUR VILLAGE. We are asking YOU to give what you can to help our program sustain itself as we move onward and upward to reach higher heights. Now that history has been made, tradition must follow. Be a part of that tradition!